Alison Sweeney from the University of Pennsylvania has been examining huge clams from the time when she was a postdoctoral fellow at the University of California, Santa Barbara. These large mollusks attach themselves to coral reefs in the tropical waters of the Pacific and Indian oceans and can grow nearly three-feet long and weigh hundreds of pounds. However, their size is not the only thing that makes them unique. Sweeney said that anyone who has ever gone snorkeling in the western tropical Pacific Ocean or Australia may have observed that the giant clams’ surfaces are iridescent, appearing to sparkle before the naked eye. The lustrous cells present on the surface of the clam spread bright sunlight, which normally runs the risk of causing serious damage to the cell, but the clams effectively convert the sunlight into fuel. 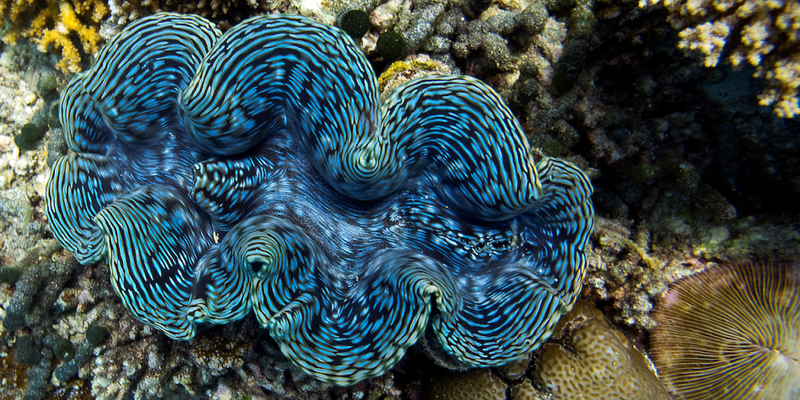 Using what they understand from these giant clams, the researchers hope to enhance the process of generating biofuel. Sweeney, an assistant professor of physics in the Penn School of Arts and Sciences, and her colleague Shu Yang, a professor of materials science and engineering in the School of Engineering and Applied Science, see the clams as “solar transformers” because they are able to absorb bright sunlight at a very high rate and scatter it over a large surface area. When the light is scattered evenly among the thick layer of algae inside the clam, the algae rapidly converts the light into energy. After coming across the work of Sweeney, Yang struck up a partnership to see if they could imitate the system by abstracting the principles of the clam’s technique to create a material that works in the same way. She and Ph.D. student Hye-Na Kim developed a technique of synthesizing nanoparticles and adding them to an emulsion, a combination of oil, water, and soapy molecules called surfactants, in order to create microbeads mimicking the iridocytes, the cells in huge clams responsible for solar transforming. Their research paper has been published in the Advanced Materials journal. Sweeney compared this process to making a salad vinaigrette, that is, the more an individual shakes it, the smaller the oil droplets in the dressing. If a person were to take nanoparticles, add them to the water-oil emulsion and shake it at the right speed, the size of the droplet can be controlled. The researchers, after performing a characterization of the beads, found that they work very similarly to the calm cells. ​​​​​​​​​​​​​​It’s very efficient, and it’s very difficult to achieve, people are trying to do this by designing nanoparticles, but you need to do a lot of synthesis and find ways to precisely control their size, shape and optical properties, which becomes complicated and expensive. Our method is both simple and inexpensive and at the same time achieves better results than all these other systems. As a next step, the researchers will try to mimic the order of the algae inside the clams by getting algae to grow in gel pillars. After they figure out how to do so, they hope to combine the algae and their artificial iridocytes and measure the system to see if it can generate fuel to the same high efficiencies as the huge clam. If this method becomes successful, it can be employed for photosynthesis in order to improve the efficiency of biofuel production. It can also be employed in solar panels for producing, storing or preventing heat in order to allow for better control of temperature in buildings. It’s exciting to see the clever, non-intuitive ways that life has come up with to solve problems, typically, evolution is a lot more clever than human engineers, and the trick is to ask smart questions about what design problem is being solved in each evolutionary case. It’s figuring out these really clever design strategies that you wouldn’t get to from a top-down human approach. The National Science Foundation/INSPIRE Grant No. IOS-1343159 was provided to support this research.